Wright State University Theatre continues its 39th season in the Festival Playhouse with The Magic Fire Jan. 30–Feb. 9. This season will also include performances of Les Misérables, as well as the The Wild Party and The Cherry Orchard, to be performed in the Herbst Theatre. Lillian Groag’s The Magic Fire takes you on a journey through the ages. The play centers on the Berg family who must navigate the cultural differences of its extended family, and the ever-increasing political tensions of Peronist Argentina. 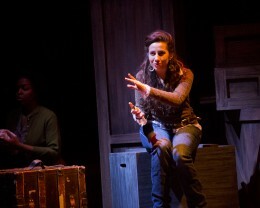 Lise, a pragmatic actress, takes a trip down memory lane to discover some answers from her past. She quickly discovers memories are often warped by age. Her 7th birthday was life changing, and also changed the lives of her family. Increasing political tensions touch the Berg home as family friend Henri is discovered to be involved with the arrest of Santo, brother of Rosa, the hired help. The Magic Fire is directed by Lee Merrill (The Miracle Worker, Little Women). The set is designed by Wright State senior Lydia Watson (Barnaby Rudge), with lighting by Samantha Jelinek (All In The Timing), costume design by David Castellano (All In The Timing), properties by John Lavarnway and sound by James Dunlap. 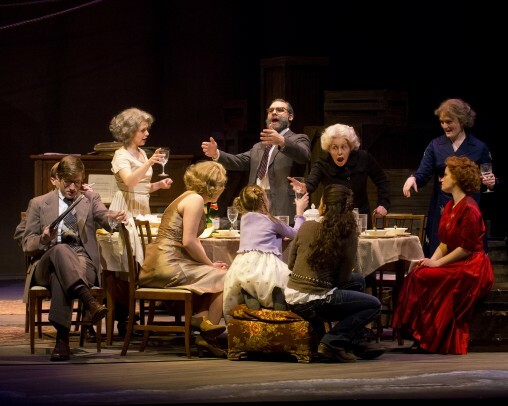 On the stage, this production features Layan Elwazani as (Lise), Mathys Herbert as (Otto Berg), DeLee Cooper as (Amalia Berg), Mimi Kilpstine (Elena Guarneri), Tommy DiMassimo (Gianni “Juan” Guarneri), Kristina Hopkins (Paula Guarneri), Stephen Kell (Henri Fontannes) Logan Torbet (Alberto Barcos), Alyssa Brembeck (Maddalena Guarneri), Jasmine Easler (Rosa Arrua), Diana Frankhauser (Clara Stepaneck), Julia Gomez (Leila), Ally Miller and Taylor Hinkle (Lise 2), and Julian Rojas (Santo Arrua). 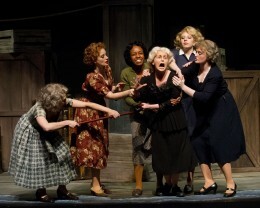 Performances are Jan. 30 and Feb. 5 and 6 at 7 p.m.; Jan. 31 and Feb. 1, 7 and 8 at 8 p.m.; and Feb. 2, 8 and 9 at 2 p.m. Contact the Box Office for tickets and theatre information at (937) 775-2500.